Since 1827, Cambridge Bumps have been a highlight of intercollegiate rowing competitions in Cambridge. As this section of the River Cam is not suitable for usual side by side racing, the bumping races were introduced as an exciting alternative. The Varsity Hotel & Spa is just a 4-minute walk from the starting line at Jesus Lock. Where there are more crews entering the Bumps than there are places on the River, the lowest crews must compete for places in the Getting-On Race. This year the Getting-On Race on Friday 7th June 2019, with the May Bumps taking place from Wednesday 12th to Saturday 15th June 2019. 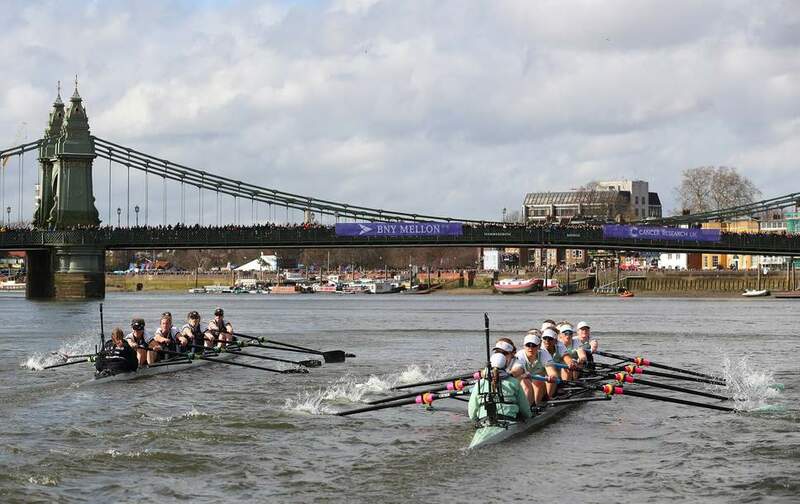 As a Cambridge city centre hotel, The Varsity Hotel & Spa is the closest hotel to 10 of the colleges and only a short walk from the remaining colleges, making The Varsity ideal for staying and watching the Cambridge Bumps. It’s also idea for sight-seeing and shopping, punting and nightlife. Each of our 44 luxury bedrooms are uniquely designed and many rooms feature underfloor heating, walk-in monsoon showers or freestanding baths, not to mention luxurious beds and outstanding cityscape views. Residents also receive complimentary passes for full use of our spa and gym. An oasis of calm in the city, The Glassworks Gym and Studio is fully equipped with the latest cardiovascular and weights machines, while daily classes help you keep on track. Our sauna, steam room or our jacuzzi overlooking the river is perfect for relaxing after your workout. With stunning views of the Cambridge skyline, the River Cam and across the cities key colleges including St. John’s, Trinity, Jesus and Magdalene, our rooftop bar and brasserie, SIX, serves a wide range of delicious meals and classic cocktails. We use fresh, locally sourced ingredients where possible to bring you the very finest in culinary delights. Freshly made finger sandwiches, scones served deliciously warm accompanied by clotted cream, jam, and of course a selection of cakes and our speciality tea selection created by our master blenders, means our Afternoon Tea truly is something to be savoured. Book your hotel stay at The Varsity to watch Cambridge Bumps now.